Leader Innovation Awards lead new trend of consumer electronics industry. Sixth China International Consumer Electronics Leader Innovation Awards selection activity will be held at the same time of SINOCES. 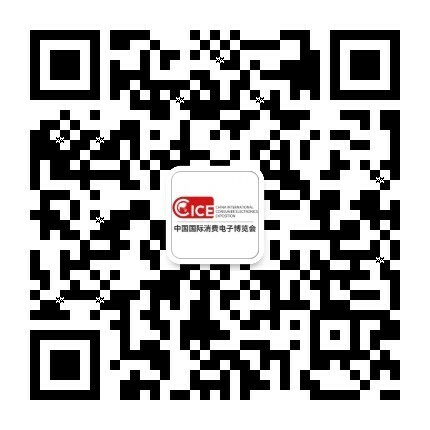 At present, the award declaration has lunched.This selection activity is jointly held by China Chamber of Commerce for Import and Export of Machinery & Electronic Products, Chinese Institute of Electronics and SINOCES committee. On the subject of Create Better Future and Life, this activity aims to supply a platform to show innovation ability for innovative enterprises, make the innovative products rapid marketization and improve enterprises’ marketable competitiveness in the world.The Leader Innovation Awards has established for five years since 2012 and now it plays an important role in consumer electronics industry. The 6th Leader Innovation Awards will showcase innovative products that lead the market and industry trend in the consumer electronics field and encourage global consumer electronics companies to innovate independently.Be aimed at technical innovation, appliance innovation and design innovation products as well as large data, cloud computing, artificial intelligence and other emerging areas, this activity sets up three kinds of awards, including professional review, media review and public review.The scope of the selection covers the entire consumer electronics industry. The jury will comprehensively evaluate the products from their design of scientificalness, innovativeness, technological innovation, marketable value realization, energy saving and environmental protection, man-machine relationship and other levels, at the same time in terms of professional audience and Internet pals' votes to select the annual most innovative and marketable value products. The products which won the award will have privilege to get a 200 square meter space in SINOCES exhibition to display so that the audiences can be closed to feel the innovative changes in wisdom of the times.At that time the invited televisions, video sites, cooperative media and new media will report centralize. By the expansion power of the media, these brands and products influence may reach a higher level. In addition, the activities will introduce global open platform for integration of resources and capital institutions. Through analysis of docking, funds, innovative technology, channels, industrial policy, supply and demand information and other leading products and technology research ,the enterprises can fully understand the status of the development of the industry, grasp the latest market demand, speed up industrial restructuring, enhance the competitiveness of enterprises in the global market. With the whole society and industry digital and intelligent evolution speed continues to accelerate, smart+ gradually enter deeply in our life.As the theme of smart+ benefiting the world, 2017SINOCES closely follow the development trend of consumer electronics market will further accelerate the upgrading of industrial structure, to achieve innovative products, design and industry effective docking, and promote innovative products landing hatching, so that "wisdom +" products and services may faster and better benefit the public life. Innovation is the soul of an enterprise that guarantees the sustainable development of itself. Leader Innovation Awards selection activity provide a stage for enterprises, which want to be the leader of industry and the benchmark of the era, to show their creative sprit. For more information, please visit official website www.sinoces.com.